Property distribution in a Tennessee divorce case is often a contested issue between the parties, particularly when determining whether an asset is separate or marital property. In a September 29, 2017 decision, the Court of Appeals of Tennessee reviewed a lower court’s order distributing the spouses’ property in their divorce case. One of the wife’s arguments on appeal concerned the lower court’s categorization of a duplex as the husband’s separate property. The spouses had been married for 13 years before their divorce in 2015. The husband was employed as a real estate broker, and the wife was a teacher. Four years prior to the marriage, the husband purchased a duplex rental property, secured by a mortgage. The rental income generated from the duplex was used to pay the mortgage on it. The husband had spent around $33,000 of his income during the marriage to remodel the duplex, and the taxes and insurance were paid from his income. The wife’s name had never been on the deed to the property. In 2004, the husband refinanced to borrow against the property, and the wife signed a deed of trust to relinquish any marital interest she had in the duplex. The property was fully paid off in 2012. Tennessee is a dual property state because its domestic relations law recognizes both marital property and separate property. When a married couple seeks a divorce, the marital property must be divided equitably between them, without regard to fault on the part of either party. Marital property means any property acquired by either or both spouses during the course of the marriage, and it may include an increase in the value of and income from separate property during the marriage if each party substantially contributed to its preservation and appreciation. Separate property is not part of the marital estate, and as a result, it is not subject to division. Separate property is all real and personal property owned by a spouse before marriage. Separate property can become marital property through commingling, in which it is inextricably combined with marital property or the other spouse’s separate property. In addition, transmutation occurs when separate property is treated in a manner that indicates an intention that it become marital property. On appeal, the court explained that the duplex purchased by the husband would be classified as his separate property unless the evidence showed that it was converted into marital property through transmutation. The court noted that the husband used marital funds earned during the course of the marriage to remodel and partially pay off the mortgage on the duplex. Accordingly, the court found that the duplex transmuted into marital property when the husband expended these significant amounts of marital income on paying off and remodeling the duplex. 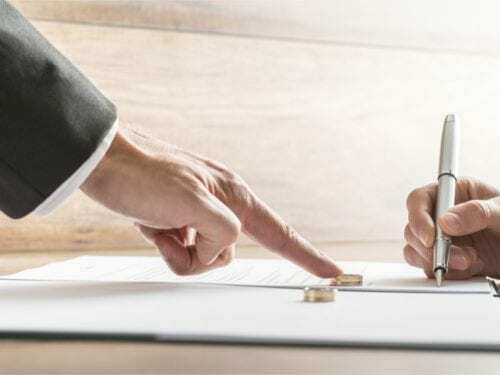 The appeals court, therefore, modified the order to reflect that the duplex was marital property and remanded the matter to the trial court for equitable distribution. At Martin Heller Potempa & Sheppard, our Nashville family law attorneys can represent people in complex divorce cases, such as those involving property division, child custody battles, spousal support, and other issues. If you are seeking legal guidance from an experienced and dedicated divorce attorney, call Martin Heller Potempa & Sheppard at (615) 800-7096 or submit our online contact form today and arrange your appointment.